Jenny Berg’s article is one of the best articles I’ve seen in the SC Times in quite a while. Congratulations, Jenny. Ms. Berg’s article highlighted the 3 candidates running against incumbents this year. John Palmer is challenging incumbent Dave Masters in Ward 1. Liz Baklaich is challenging RINO Steve Laraway in Ward 2. Paul Brandmire is running against John Libert in Ward 3. Each of the incumbents are part of the city councilmembers that I disparagingly ‘nicknamed’ “the 5 ostriches“. 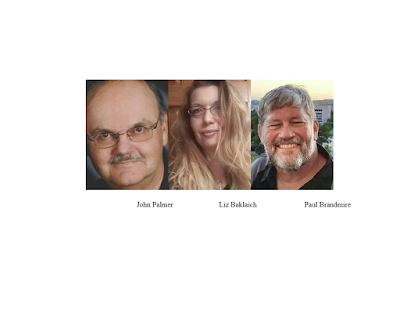 Many of the candidates taking on incumbents — John Palmer in Ward 1, Liz Baklaich in Ward 2 and Paul Brandmire in Ward 3 — resoundingly said they don’t think the process was transparent. Those three candidates also said they don’t feel the council members listened to the concerns of residents who wrote to the candidates or spoke at public hearings. Residents who spoke at a Feb. 12 public hearing relayed concerns about losing parkland and trees, as well as the notion that selling parkland could be seen as bad public policy.